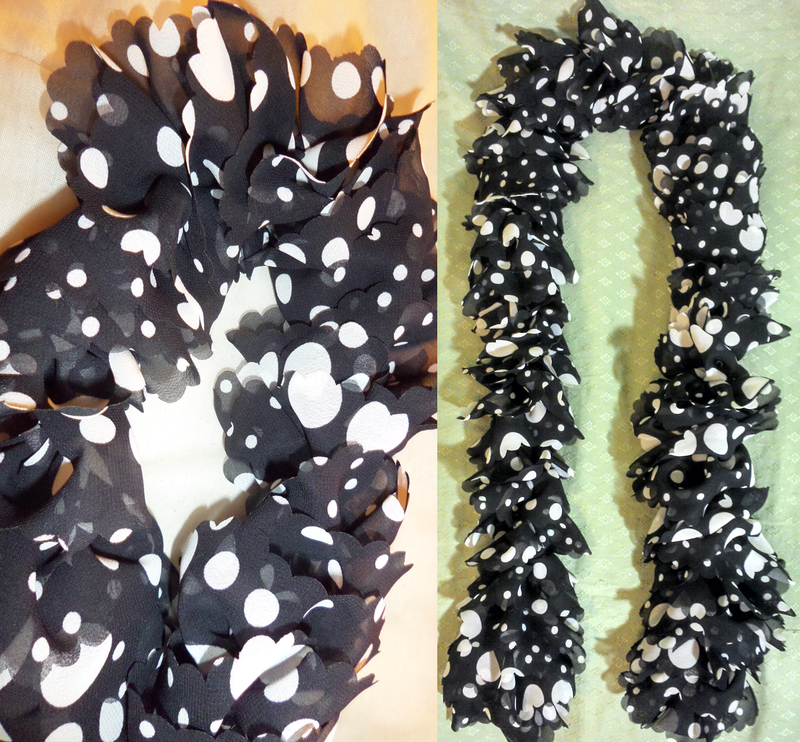 This polka-dot ruffles scarf gives a beautifully elegant touch to your outfit. It is made with 100% polyester fabric. Hand wash cold. Lay flat to dry. Do not bleach or iron.